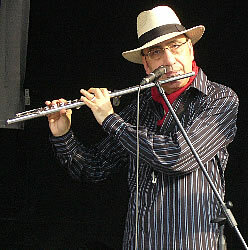 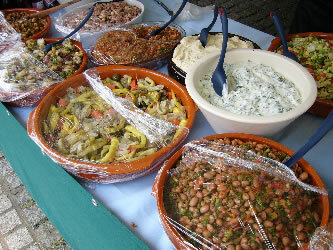 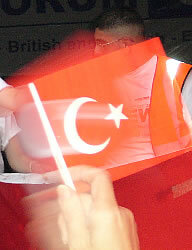 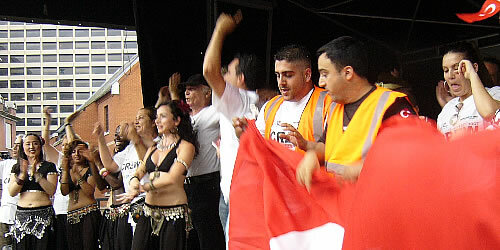 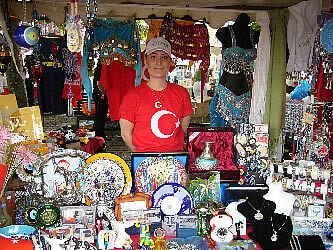 The Turkish Fest is an annual celebration of Turkish culture which takes place on the South Bank in London. 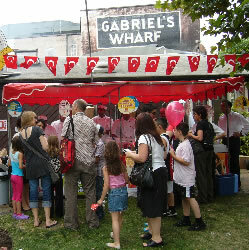 In 2011 it will be from 12 noon - 9pm on Saturday 23 July, and 12 noon - 7pm on Sunday 24 July. 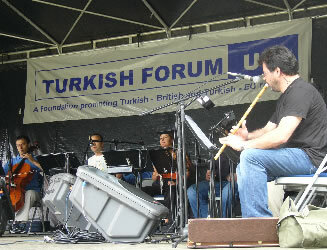 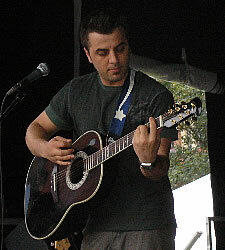 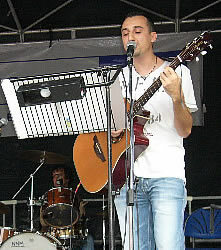 The pictures below were taken during the Turkish Fest on Saturday 14th / Sunday 15th July 2007. 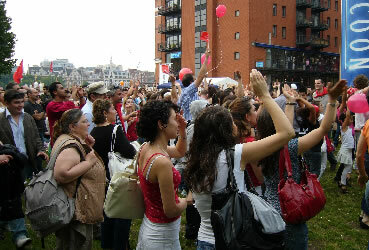 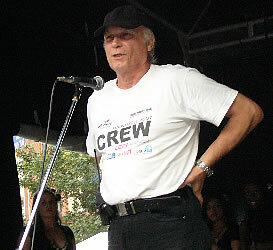 In that year the festival was held in the Bernie Spain Gardens. 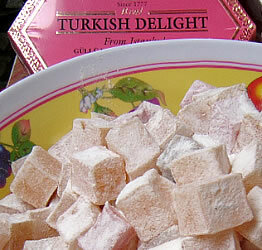 Do you fancy some Turkish Delight ... ? 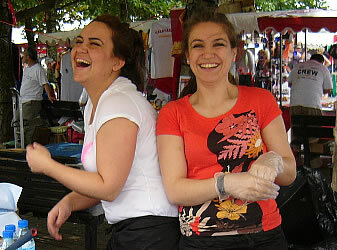 ... or perhaps a kebab? 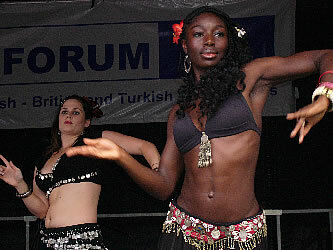 There are a variety of performances of music and dance on the stage. 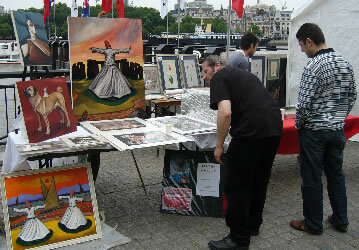 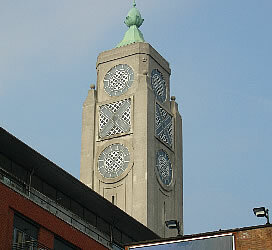 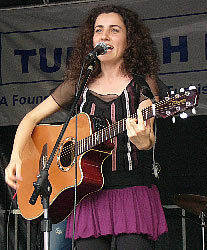 Some of the artists are based in London, while others have travelled from Turkey.